Import Blu-Ray/Region All pressing. The Canadian pop rock singer captured live in performance at Sydney Opera House in 2011. The concert was part of Adams' 'Bare Bones' tour and saw him play hits including 'Run to You', 'Let's Make a Night to Remember', 'Summer of '69', 'The Only Thing That Looks Good On Me Is You' and 'Have You Ever Really Loved A Women'. Canadian rock singer, guitarist and photographer (b. November 5, 1959, Ontario). His recording debut was at the age of 15 with the glam rock band Sweeney Todd. 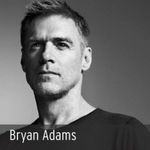 Adams' solo debut single was actually disco-styled, a fact generally glossed over in view of his later (and enormously successful) rockstar career.